Valtteri Bottas finished the Abu Dhabi grand prix in third place behind teammate Felipe Massa, and secured fourth place in the Driver’s Championship above Fernando Alonso and Sebastien Vettel. The young driver has exceeded all expectations this year, going head to head with a much more experienced Massa and beating him in the championship. But he’s not satisfied yet. The Finn driver is looking to improve on his 2014 performance. After the race, he said “It’s been an amazing year with so much improvement as a team and getting so much stronger, and this last race shows how strong we are getting. “The curve is to the up. I’m expecting a lot from next year.” he added. Bottas’ race got off to a poor start, though, making most of the race a battle to regain positions that he lost in the beginning, dropping back to P9 initially. 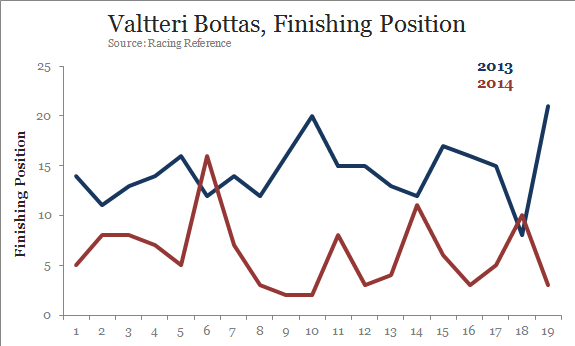 But as for the season as a whole, Bottas is proud of how far the team has come. “Overall, an amazing end to the season. An amazing… from last season, it’s been just incredible how much we have improved. Valtteri Bottas is just 25 years old, but he has beaten some of the best in the sport this year, finishing ahead of Vettel, Alonso, and Raikkonen. When asked about his season and next year, Bottas responded “We’re just going to make sure we don’t repeat any same mistakes next year. I’m sure we’ll be fighting for a better position. “But third in the constructors’, for me fourth in the drivers’, it will do for now. Mercedes AMG Petronas driver Lewis Hamilton has won the 2014 Formula One Driver’s Championship. Hamilton finished off the season with a win at the Abu Dhabi grand prix to clinch the championship from teammate Nico Rosberg who he has been battling with all year long. Rosberg took the early championship lead in Melbourne, Australia. This championship is Hamilton’s second, his first came in 2008, and he called today’s event “the greatest race of my life.” And it certainly was, taking over first place as soon as the lights went out, Rosberg never to regain the lead again. The Englishman did have some help from his teammate, though, when he suffered a technical failure with the ERS system, causing him to lose engine power and all but end his hopes of a championship. After that, it was a relatively easy drive for Hamilton to the finish, with no other drivers having a shot at the title, he just had to get the car home. Lewis Hamilton did that in spades, winning the contest after a late race challenge by Williams driver Felipe Massa, who finished the race in second. 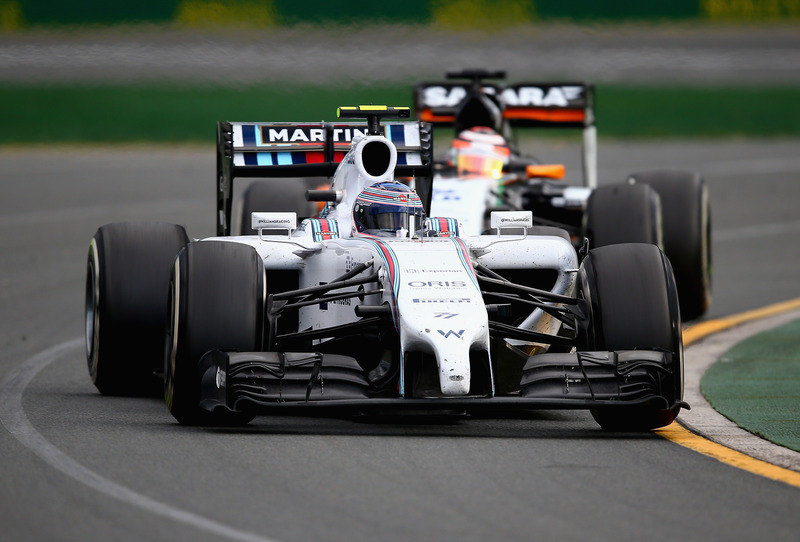 Valtteri Bottas completed a successful Williams weekend by finishing in third place. //platform.twitter.com/widgets.js This year’s championship has been a back and forth battle dominated by the Mercedes drivers Hamilton and Rosberg. After taking control of the title in Singapore, Lewis Hamilton put together a string of successful results to set him up for his second World Driver’s Championship in Abu Dhabi. 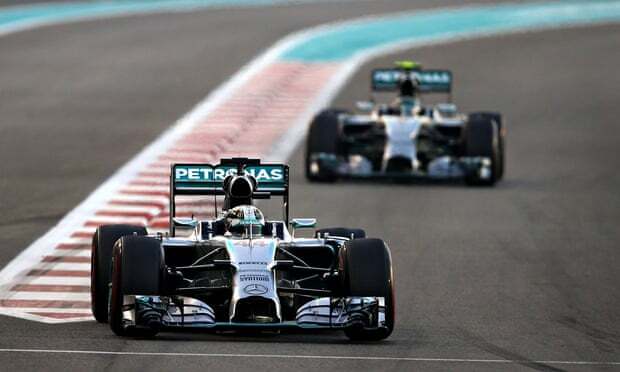 Stay tuned for live tweets, stats, analysis, and more throughout the 2014 Formula One season finale at Abu Dhabi. Lewis Hamilton has Won the 2014 F1 Driver’s Championship! Lap 55: Hamilton wins the race and wins the 2014 Formula 1 Driver’s Championship! Lap 54: Rosberg is told to box, but Rosberg refuses and says he will stay out to the end. Hamilton laps him but no fight is given. Massa won’t have time to catch Hamilton. Lap 53: 3.5 second gap to P2, three laps to go. Massa is running out of time to make a move now. Rosberg’s race is just getting worse with each passing lap, down to 13th. Lap 52: Both Williams’, Ferrari’s, Force India’s, and Red Bull’s are in the top ten. Lap 51: 4.8 second gap to second place now, four laps to go. Rosberg is going extremely slow now, losing more positions. Lap 50: Rosberg gets passed by Vettel and drops to P9. Lap 49: 6.5 second gap now from Massa to Hamilton. The Brazilian will need to leap nearly a second faster every lap to have a shot at the race win. Hamilton probably won’t put up too much of a fight if he gets there. Lap 48: Ricciardo into the pits, moving Bottas up to P3 and putting both of the Williams drivers onto the provisional podium. Lap 47: Both of the Force India’s are now in the points, and Perez (P10) is pushing Alonso now for another place. Vettel comes in for the mandatory supersoft tires and rejoins in P10. Gap from Hamilton to Massa down to eight seconds now. Another fastest lap with eight to go. Lap 46: Both Red Bull’s still have to pit, and Massa sets a blistering 1:45.3, another new fastest lap. The gap is down to 9.5 seconds. Nine to go. Lap 45: Kobayashi is out of the race, while Perez overtakes Raikkonen. Current running order is Hamilton, Massa, Ricciardo, Bottas, then Vettel. Lap 44: Massa heads into the pits for supersofts and rejoins in P2, behind Hamilton by 11 seconds. But Hamilton sets another fastest lap, a 1:45.9 this time by. Lap 43: 12 laps to go, Hamilton puts in a 1:46.1, the fastest lap of the race. Hamilton gets the gap down to 12.5 seconds now, looking to go for the race win. Lap 42: Rosberg is reporting more problems with the car, just looking to get it to the end of the race now. Meanwhile, Perez is battling with Vettel, defending for P5. Massa is Going for his First Win this Year. Lap 38/39: Massa still holds the lead of the race and has gotten a 15 second gap to Hamilton. Hamilton radios in “I’m not racing Massa,” the Brazilian could be racing for his first win this year. Lap 37: Massa and Ricciardo still have not pit this stint, currently running first and third, respectively. The Aussie just out in the fastest lap of the race as he tries to reel in the 24 second gap to Hamilton. Lap 35/36: Rosberg is in the pits and comes out in P7, right in front of Sebastien Vettel. Bottas too comes into the pits and rejoins in P4, just behind Ricciardo. Lap 34: The Ferrari’s are still scraping around for the points paying positions down at P10. Ricciardo is having a fantastic drive after starting from the pits, closing down on Rosberg lap after lap. Lap 33: Raikkonen is pressuring Alonos for P10, looking to beat is teammate before Alonso leaves next season. Bottas overtakes Rosberg, making the current top three Massa, Hamilton, and Bottas. Lap 32: Hamilton into the pits with another 2.7 second stop. Rosberg overtakes him with the jump but Hamilton quickly takes back the place, no fight from the German. Bottas is 2.7 seconds out from Rosberg and is coming up fast, Williams have the possibility of a two driver podium this race. Lap 31: Massa has the gap to Hamilton down to eight seconds. Bottas is working on Rosberg and is six seconds out from him. 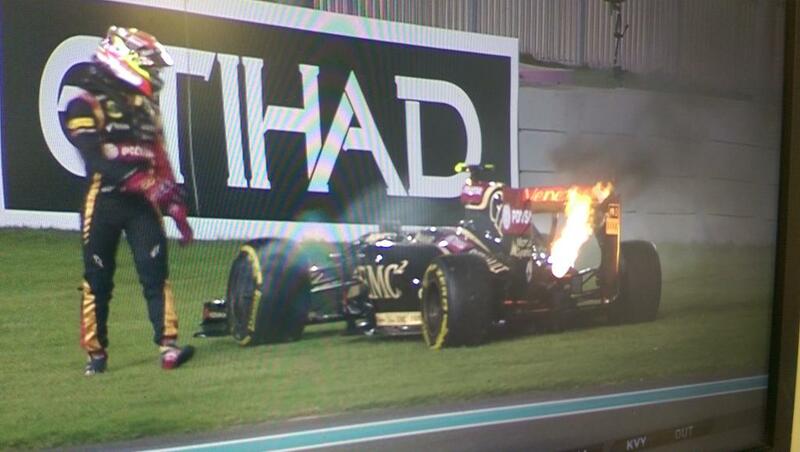 Lap 28: Fire from Maldonado’s car, he is out of the race. Hamilton has backed off the pace by nearly a second a lap, presumably on purpose in order to protect his engine. Lap 27: Rosberg is clearly frustrated over the radio, with nothing he can do now in the car, as Felipe Massa blows by him for P2. Bottas is in P4 who will be on the back of Rosberg soon enough if the problem is not fixed. Lap 26: Massa reels Rosberg in and the gap is down to less than second to him. Hamilton is driving away with the gap now up to 13 seconds. Lap 25: Bottas flies past Ricciardo for P4, his teammate, Massa, is up next, but there is an 18 second gap to him. Rosberg reports he is “losing engine power”, which could put an end to Rosberg’s championship hopes, sliding out to a nine second gap back from Hamilton. His team is reporting a ERS problem. Lap 24: Rosberg locks up his tires and loses around two seconds to Hamilton, not what he needed while trying to conserve tires. Lap 22/23: Magnussen and Vettel both come into the pits on the same lap and go out with Magnussen leading. The sun is starting to set in Abu Dhabi and the lights come to life; 2.7 second gap still holding for Rosberg and Hamilton. Lap 20/21: Rosberg gap to Hamilton is stable around 2.4 seconds, the former is trying to balance maintaining a gap with conserving his tires. Ricciardo is up to fourth after starting from pit lane; Vettel is in P7 behind Magnussen who still hasn’t pit. Lap 17: Rosberg’s team radios him to try and keep a manageable gap to Hamilton, they’ll try to outlast him on this stint. Lap 16: Kvyat pulls off on the first turn, local yellow out as his race is done for. Lap 15: Rosberg is struggling to close any gap to Hamilton as of now, Massa is hanging another 2.5 seconds behind Rosberg. Lap 14: Massa into the pits for a 2.9 second stop. Rosberg sets the fastest lap of the grand prix in an attempt to break down that 2.3 second barrier. Five cars, Bottas, Magnussen, Vettel, Button, and Alonso are in a battle for P7, within three seconds of each other. Lap 12/13: Massa is currently race leader due to not pitting yet, but a good drive for him so far none the less. Both of the Force India’s are in the top five, running fourth and fifth. Lap 11: Race leader Hamilton is in and out of the pits with a 2.7 second stop. Rosberg is told to turn it up and pits as well. 2.6 second stop for Rosberg, but he is jumped by Hamilton again. Back up to a roughly two second gap. Lap 8: Perez and Vergne are scrapping about for P6. They’re within a second of each other too. Just behind them Vettel is pressuring Magnussen for P9, but he the German has yet to pit this race. Lap 7: Button, Raikkonen, and Kvyat into the pits. Hamilton has pulled out a 1.7 second lead on Rosberg now. Massa, Bottas, and Hulkenberg round out the top five. Lap 6: Bottas has moved up to six after passing Raikkonen, but he has reported graining on his supersoft tires. Lap 4/5: Drivers have sorted out the opening lap scramble for positions, and are running pretty clean. Current leaders are Hamilton, Rosberg, and Massa. Lap 3: DRS enabled. Ricciardo and Vettel are up to 16th and 17th, respectively. 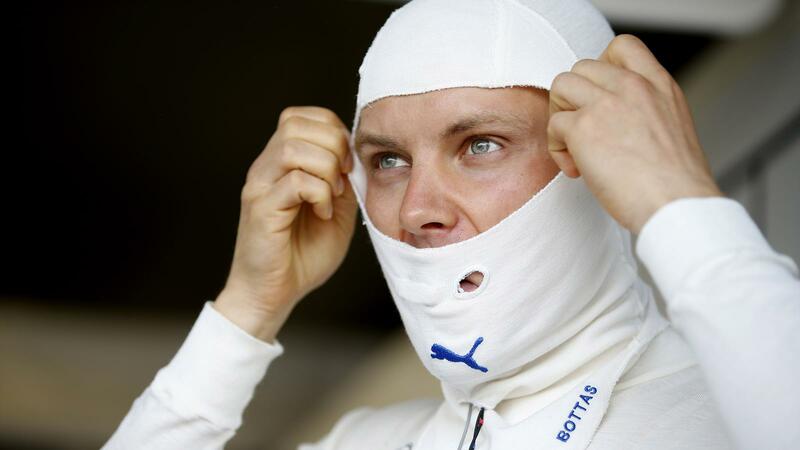 Bottas has joined the fight for fourth place, along with Alonso, Raikkonen, Button, and Kvyat. Lap 2: Hamilton has created a 1.2 second lead over Rosberg. Button, Raikkonen, and Alonso all fighting for fourth, withing two seconds of each other. Lap 1: The lights are out! Hamilton gets a fantastic start, takes Rosberg into the first corner. Massa into P3 behind the leaders, while his teammate, Bottas, drops down to P8 behind Kvyat. Lap 0: The race is about to begin! Cars out for the formation lap now. ROS-HAM front row, the 12th lockout for Mercedes this year. 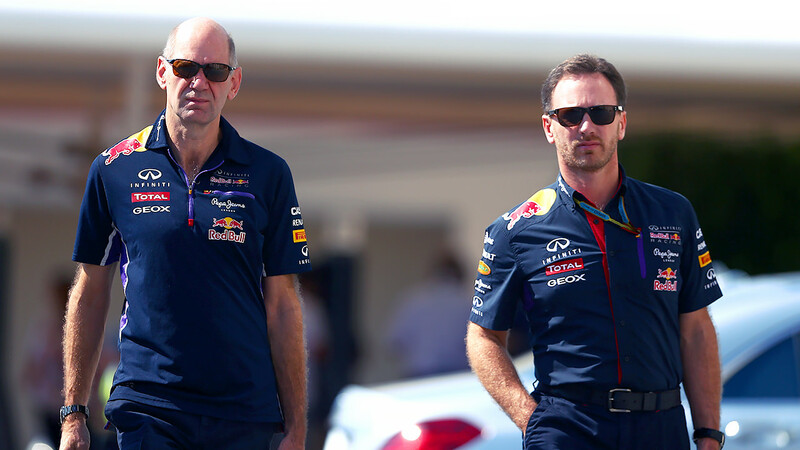 Red Bull Racing drivers Sebastien Vettel and Daniel Ricciardo have both been dropped from their qualifying results after their cars failed to comply with technical regulations. Vettel and Ricciardo were set to start the grid in sixth and fifth place, respectively, on Sunday. Both cars will be allowed to start from pit-lane for the Abu Dhabi grand prix tomorrow.